Emby Server is designed to help you manage your personal media library, such as home videos and photos. Powerful tools to manage your content, users, sharing, security, and more. The Emby Server dashboard is designed for smart phones, tablets, and big screens, allowing you to manage your media anytime, anywhere. Bringing all of your home videos, music, and photos together into one place has never been easier. Your personal Emby Server automatically converts and streams your media on-the-fly to play on any device. Emby Connect makes it easy to enjoy your personal media while away from home. No more fumbling with IP addresses. Just sign in and play. 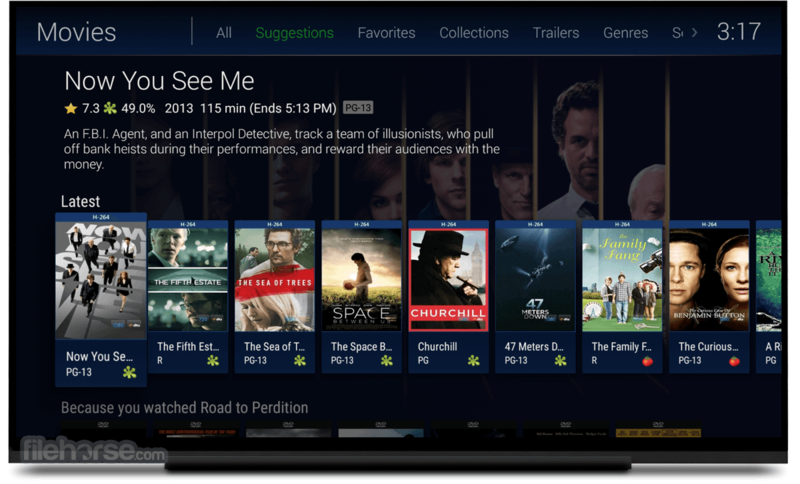 Stream Live TV to any device, manage your DVR, and enjoy your library of recordings. Easily control content access for your children. Monitor and remote control their sessions as you need to. Take your personal home videos, music, and photos with you wherever you go, even offline with Emby Mobile Sync. Emby apps are available for Android, iPhone, iPad, Windows Phone and Windows Tablets. Sit back and enjoy Emby from the living room. 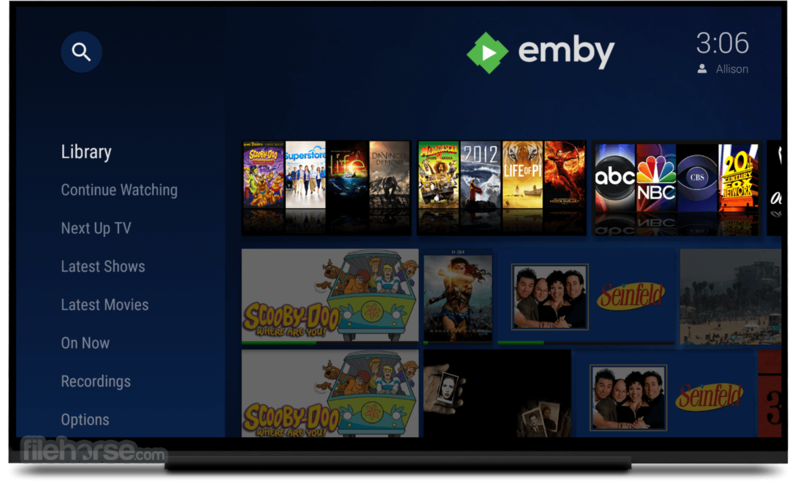 Emby apps are available for Android TV, Amazon Fire TV, Chromecast, Roku, Xbox, Home Theater Computers, and more. It takes the fuss out of managing your home videos, music, and photos, so that you can spend more time enjoying and less time struggling. Purchase Emby Premiere and receive additional bonus features such as Cover Art, Mobile Sync, Cloud Sync, and free Android apps. 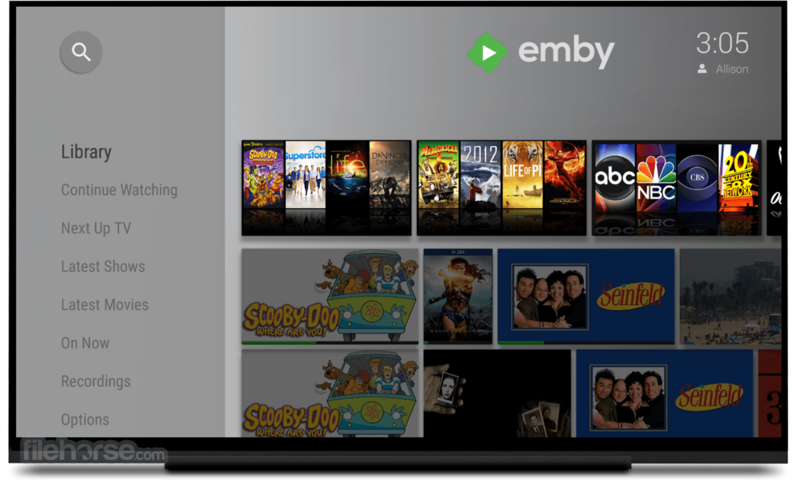 Emby Server automatically converts and streams your personal media on the fly to play on any device. Emby Connect makes it easy to enjoy your personal media while away from home. Just sign in and play. Stream Live TV to any device, manage your DVR, and enjoy your library of recordings. Sync your personal media to smart phones and tablets for easy offline access. Automatically sync new content as you add it. It organizes your content into easy and elegant presentations. Your personal media will never look the same. Easy web-based tools help you edit metadata and images, search for subtitles, and more. Easily control content access for your children. Monitor and remote control their sessions as you need to. Specify parental restrictions for your children, create access schedules, time limits, and more. 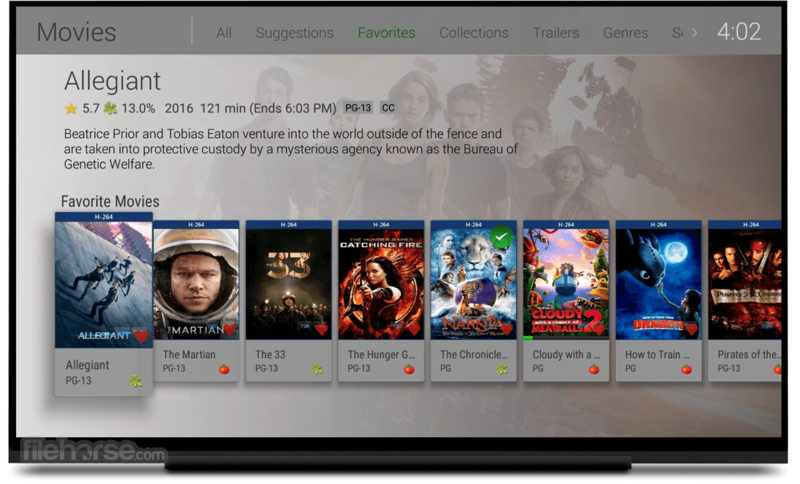 It automatically detects Dlna devices on your network so that you can easily send content, remote control, and more. Send videos, music, photos, and Live TV to Chromecast with ease. Sync your personal media to the cloud for easy backup, archiving, and converting. 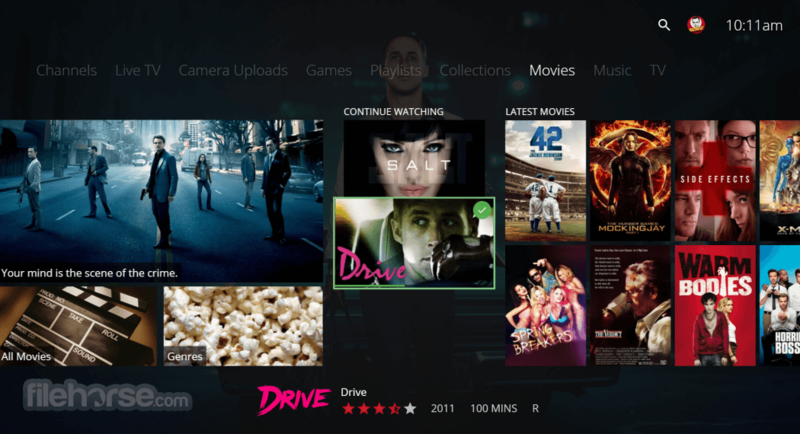 Store your content in multiple resolutions to enable direct streaming from any device.